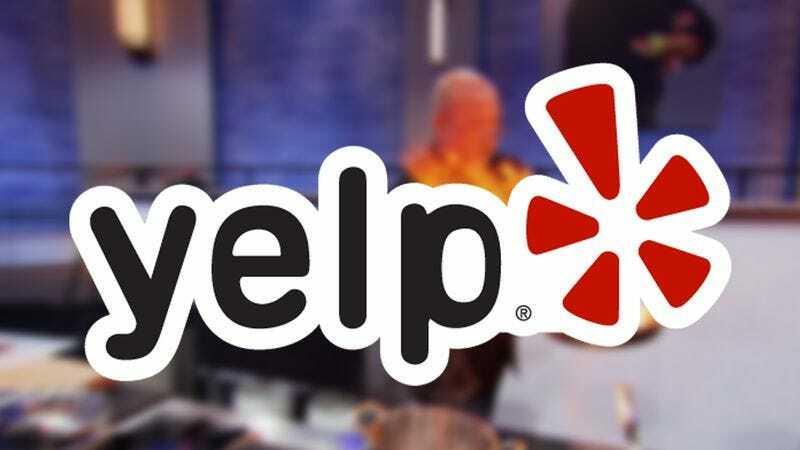 As if internet commenters needed any more reason to believe that the world was clamoring to read their opinions, the Food Network has just announced that it will be highlighting Yelp restaurant reviews on a new show called 12 Hungry Yelpers, Forbes reports. The show will reportedly cull the often-abusive user-submitted reviews from the business rating website as a means to inform restaurateurs of the things they’re doing to alienate customers. “12 Hungry Yelpers is a funny new show we’re doing in partnership with Yelp Inc.,” Kathleen Finch, programming chief for Food Network’s parent company Scripps, said in a statement. “You go into a restaurant and give it a Yelp review and then always wonder if the proprietor ever reads them.” MasterChef season three finalist Monti Carlo will serve as host. There’s no word yet on when 12 Hungry Yelpers will premier on the Food Network, and whether the reality series will reach the levels of riveting drama achieved by Reginald Rose’s 1954 jury-room teleplay 12 Angry Men, which inspired its title, remains to be seen.